The commercial vehicle origins of the sixth generation Volkswagen Caravelle endow it with more interior space than most large MPVs but it masks its links to the Transporter van very well inside where quality is high. With ample space for seven adults and luggage, strong common-rail diesel engines and a classy feel, there isn't much else that can do what a Caravelle can. What is the Volkswagen Caravelle? It's a good question. Based on the Volkswagen Transporter panel van and sold through Volkswagen Van Centres, one perfectly reasonable assumption would be that it's a van. It's got seven seats, though, so you could also finger it as a minibus. Then you'd clamber inside and see that those seats slide, fold and rotate. 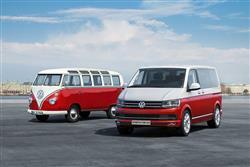 Could the Caravelle be an MPV? It could be but with those arm-chair style seats and the superior materials in the range-topping models, it's quite upmarket for the kids. Maybe it's an executive limousine. Let's stop this. 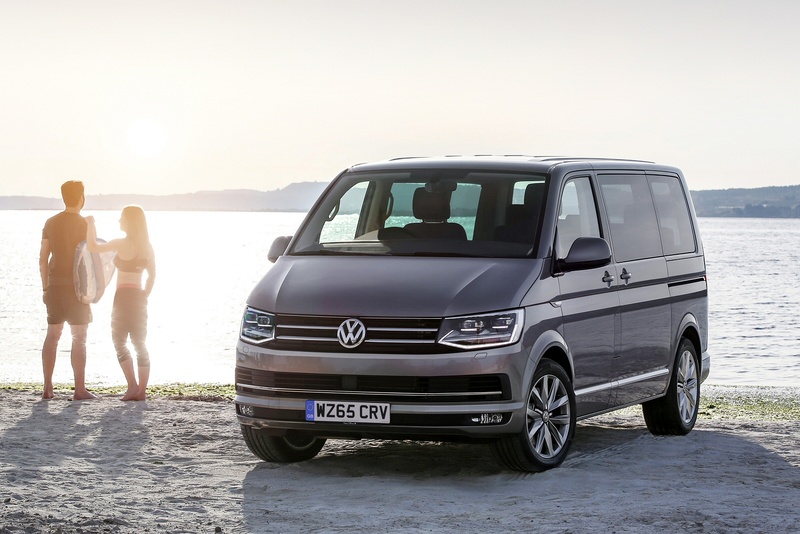 What we do know for sure is that the Caravelle has been enhanced in its latest T6 MK6 model guise and it looks just as versatile and difficult to pin down as ever. There are no prizes for guessing that this vehicle has its origins in the van sector. 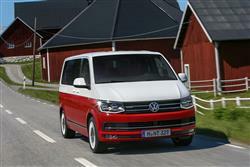 It looks identical to the Volkswagen T6 Transporter, apart from the side windows running its length. 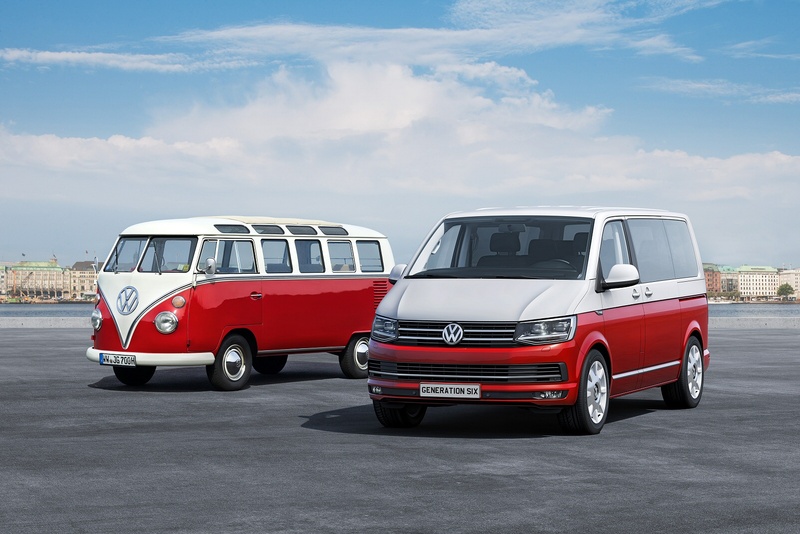 Volkswagen offers minibus versions of the Transporter without the plush cabin and adaptable seating system and those vehicles act as the bridge between the highfaluting Caravelle and its more workmanlike relative. 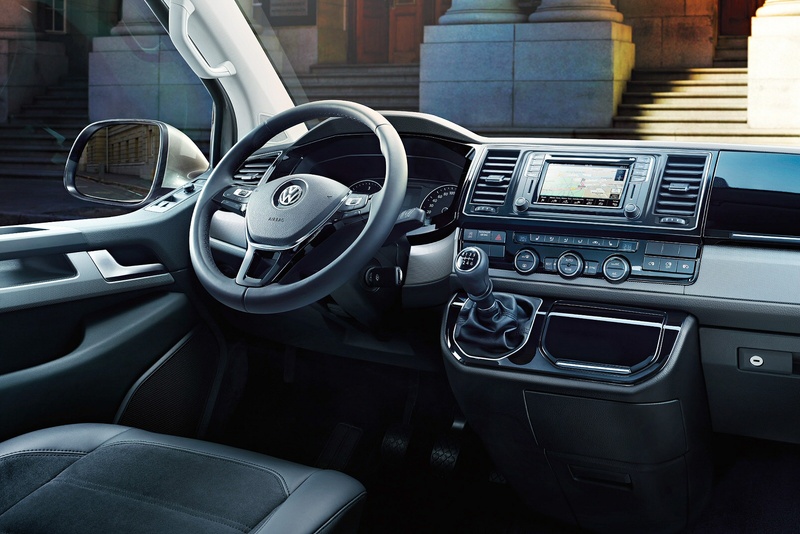 It's been around for a while and, from commercial vehicle to mobile office space for the chairman of the board, it's been put to no end of uses but Volkswagen has worked to improve the range in this sixth generation form, with smarter looks, extra equipment and more efficient engines. You'll want to know whether it drives like a car-like MPV or a van-like minibus, so let's get that out of the way right up-front. The on-road experience is somewhere between the two, though your reaction might be more positive than that if you're not up to speed with just how dynamically adept the latest generation of large vans really are. This feeling you get at the wheel of this one varies a little of course depending on whether it's fully loaded with passengers, a state in which both ride and composure are much improved. If there's no one in your Caravelle but you, you're probably more likely to notice the vague power steering and the slightly lumpy low-speed ride. And of course the high-sided shape and 2.5-tonne kerb weight don't take particularly kindly to sharp high speed cornering antics. Better of course to settle back and use this vehicle as intended, wafting around on the potent wave of torque delivered by the common rail four cylinder 2.0 TDI diesel engines. There are two on offer here, base models being powered by a single turbo 150PS unit that gets this sizeable chunk of German real estate to 62mph in 12.9s en route to 113mph. Ideally though, you want to opt for the pokier 204PS BiTDI twin-turbo version of this unit. At low engine speeds, the largest of the two BiTDI blowers delivers steady charge but go a bit faster and there's a second smaller turbocharger, ready to cut in and give additional boost. At first glance, the stats don't seem much affected (the 0-62mph time improves to 9.8s and the top speed to 126mph) but what's more important is the jump in pulling power. When towing: all Caravelles can tow a braked trailer of up to 2,500kgs. The figures quoted are for manual models but most buyers tend to prefer to specify the optional seven-speed DSG automatic gearbox. 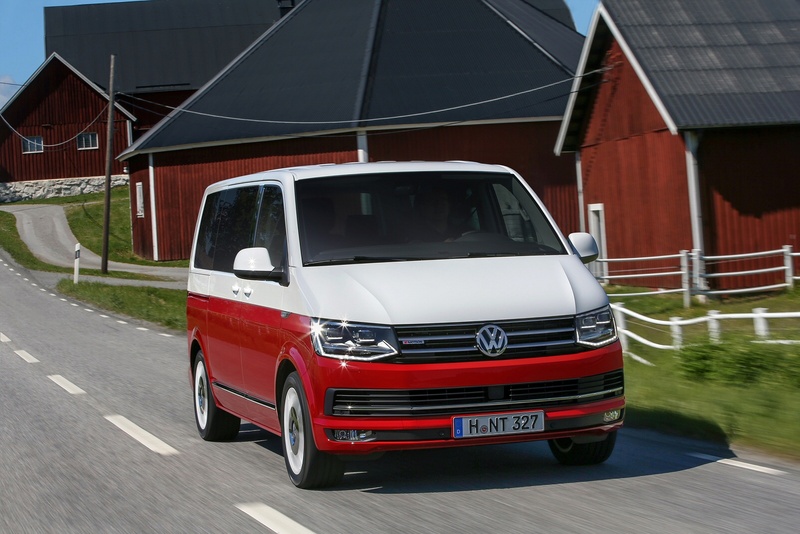 The sixth generation Caravelle gets the smarter nose section inroduced with the T6 Transporter van and, as before, is available in either short or long wheelbase bodystyles. All the excitement though, is inside. At 4,892mm long and 1,904mm wide in short wheelbase form, the Caravelle was never going to be anything but roomy. The seating layout is comprised of two arm-chairs in the front and two more behind with a three-seater bench in the back row. Unlike many seven-seater MPVs, there's also a usable luggage area behind the third row and it can be made more usable by sliding the rear bench forward on its runners. The front and second row seating is also mounted on a system of runners in the Caravelle's floor so these chairs can be moved around to tweak the layout. The front seats can even be rotated 180 degrees to face backwards, creating a kind of living room layout around the multi-function table that's mounted on its own rail in the centre of the cabin. If you get tired, the back seats fold down into a bed. Adaptability is not in short supply then, but how well does it all work? It's theoretically possible to lift all of the furniture out of the Caravelle but you'll need biceps the size of breadbins: it's not light. Sliding the chairs around is quite straightforward, although you might need to think ahead before embarking on a rearrangement as the multi-function table can get in the way. The build quality impresses and even in standard trim, the Caravelle doesn't feel like a commercial vehicle. The switchgear and instruments will be familiar to VW passenger car owners and there's an abundance of storage options around the vehicle. Caravelle customers have a lot of decisions to make when it comes to specifying their vehicle. For standard 'SE' variants, prices start at around £37,000, with premium of around £2,000 if you want the long wheelbase version which is 400mm longer. If you're happy wih the short wheelbase shape, then a premium of around £3,700 will get you plusher 'Executive' trim. Both of the engines come with six-speed gearboxes as standard but they can be specified with Volkswagen's 7-speed DSG twin-clutch system that allows manual or automatic shifting. The BiTDI engine can also come with the 4MOTION all-wheel-drive system. There's even a California model based on the Caravelle that amounts to a full motorhome conversion. SE trim gets you air-conditioning, alloy wheels, Bluetooth and a DAB 8-speaker stereo but the Executive spec really goes to town. It adds alcantara/leather trim, cruise control, heated front seats, electric sliding side doors, speed sensitive power steering and a climate control system with separate controls for the rear seat occupants. Ths Caravelle's pricing will limit its appeal for family buyers but there's little to match its combination of opulence and space outside of the similarly priced Mercedes-Benz V-Class models, so there may still be some takers. The Executive model has obvious appeal for companies needing to transport personnel over long distances in comfort with all the bells and whistles. The 2.0-litre diesel engines powering the Caravelle have a weighty role to fill but they still turn in reasonable economy figures that have significantly improved in this Euro 6 guise by around 15%. The 2.0 TDI variant manages 45.6mpg on the combined cycle and 161g/km of CO2, figures that improve to 47.1mpg and 155g/km if you specify the DSG auto gearbox. The 204PS Bi-turbo engine gets pretty close to this showing, managing 42.8mpg and 171g/km in manual form, or 44.8mpg and 164g/km in DSG guise. The Euro 6 engines have Selective Catalytic Reduction (SCR) with an AdBlue exhaust additive. The AdBlue filler is in the same flap as the vehicle's diesel tank neck and the adoption of the 13-litre AdBlue tank has seen the fuel tank drop in size from 80 litres to 70 litres. If you�re looking for a new Volkswagen Caravelle 2.0 TDI BlueMotion Tech 199 SE 5dr LWB DSG Diesel Estate for sale, you�ve come to the right place. At Bristol Street Motors we don�t just have the best Volkswagen Caravelle 2.0 TDI BlueMotion Tech 199 SE 5dr LWB DSG Diesel Estate deals, we also offer friendly advice and help with all your enquiries to ensure your buying experience is a happy experience.